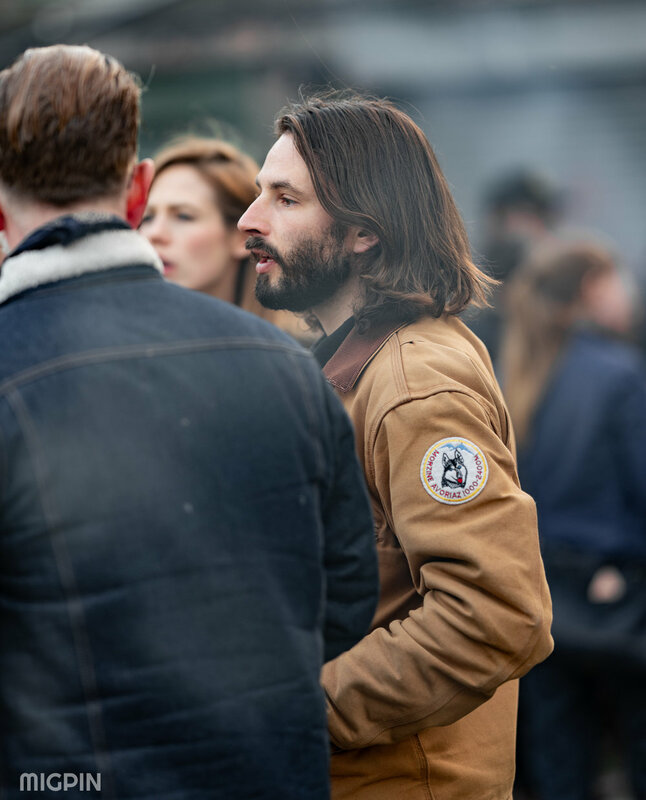 I’m not sure how I first met Russ, whether through Motorcycles (he has a couple of vintage triumphs he’s restored) or through Art or Music which he has been promoting around East London under various guises. We share a number of interests and it is the breadth of these that make working together exciting. 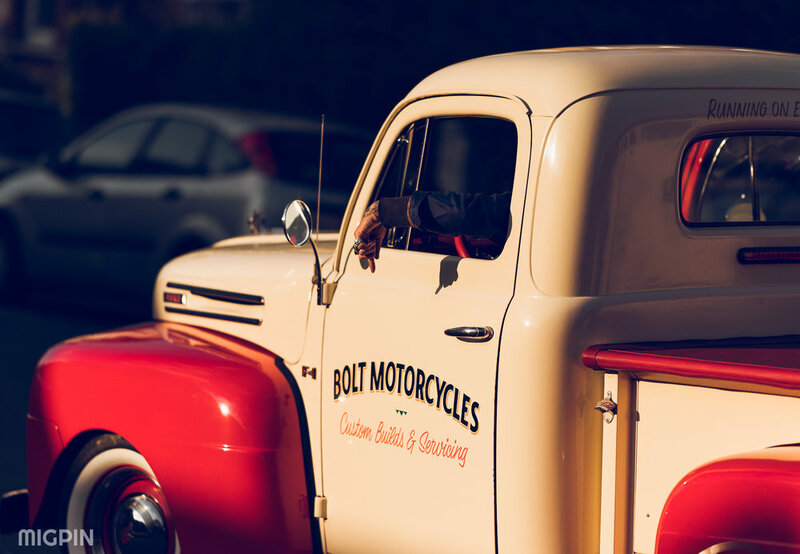 With Bolt I always think it is an appreciation for Art, design and craft that links everything rather then the motorcycles themselves. We decided a great way to work together would be to make some MX jerseys with Russ bringing his own style to the brand. The designs were created by Swifty Graphics, a graphic artist who was heavily influential in the music scene in the 90’s as well as graffiti, clubbing and hip hop culture. From producing designs for record labels Mo Wax and Talkin Loud, Swifty also designed posters for the legendary Dingwalls nightclub and Straight no chaser Hip hop magazine. Being a huge fan, I had bought a Mowax t-shirt bearing one of swifty’s designs over twenty years before so it was a great privilege to have him design for Bolt. The mix of music, sub-cultures and influences in his work as well as his hands on approach to digital design made for a great fit. Russ is always ahead of the game and enthusiastically supports creative talent when he finds it. Recently he has been talking about a band he is managing, Hardwicke Circus, and the Uk tour they are currently on. The band’s manager Dave Robinson, co-founder of Stiff Records was the first to turn up. Dave has worked with everyone from Jim Hendrix as well as hosting both Ian Dury and Elvis Costello on his label and was now touring with the six young lads from Carlisle. The band and equipment soon followed and set up in the store. They came on to a packed crowd and completely blew it away and left everyone talking about what they just witnessed. Our friends at Ugly Sound system lent us some bigger speakers and Bradley Hall was first to play some vinyls. Brad has been interwoven within the stories of east London from his time as a Punk in the seventies through to the acid house and scooter scenes of the 80’s and 90’s. He has played every party since our first launch five years before and has a collection of vinyl that never ceases to grow. We closed the doors at Nine and Bolt collaborator Edie Ashley who also shares a love for music played a heavy bass set of dubby 7' inches. The store become a dance floor which is always the sign of a good party. We came across Lucy Newman’s work when she hand sewed a series of impossibly detailed motorcycles for Chase’s store in Los Angeles HWY . Lucy brought down some hand sewn t-shirts, patches and other items and alongside Swifty set up in the Garage. Swifty had brought down a range of rare items from sound system speakers to vintage skateboards, all which had been manipulated to include his own brand and typography. I wasn’t sure how he managed to achieve such a seamless finish and together the item made a song visual impact. Russ brought down some of his latest designs from his brand Hackney GT . As our parties have gotten bigger, more rawkus and running a little later the beer consumption has increased. After the phenomenal feat of drinking through 1400 cans of Budvar at our summer party, and still running out, we have had to ask for shared support. I would like to thank Ed from Five Points, a cracking local brewery, and Josh from Budvar for his consistent support. We did have a visit from the Hackney Council who were in full support of us continuing to host events at Bolt which was great. 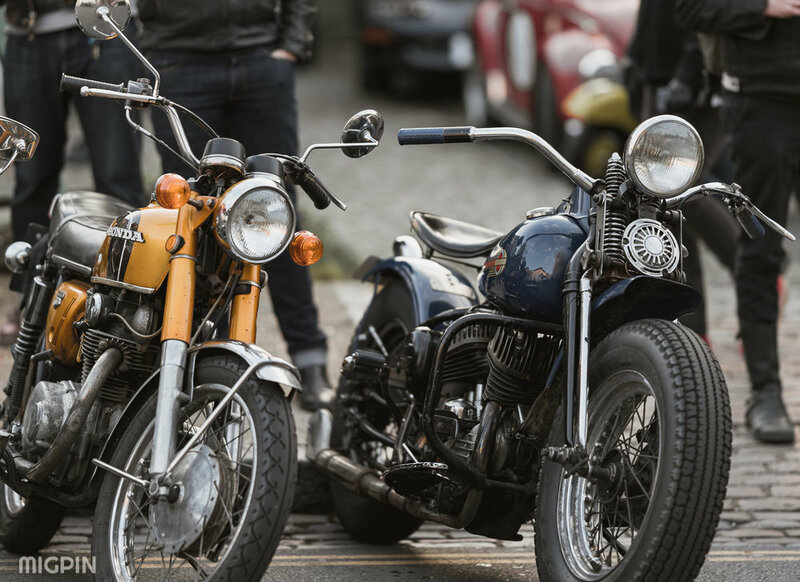 We had a couple of complaints regarding the noise of motorcycles and have been asked to make sure that there is no unnecessary revving of motorcycles nor antisocial riding up and down the street. Thankfully Ive never witnessed any and I appreciate all those consider our neighbours or push the bike to the top of the street. 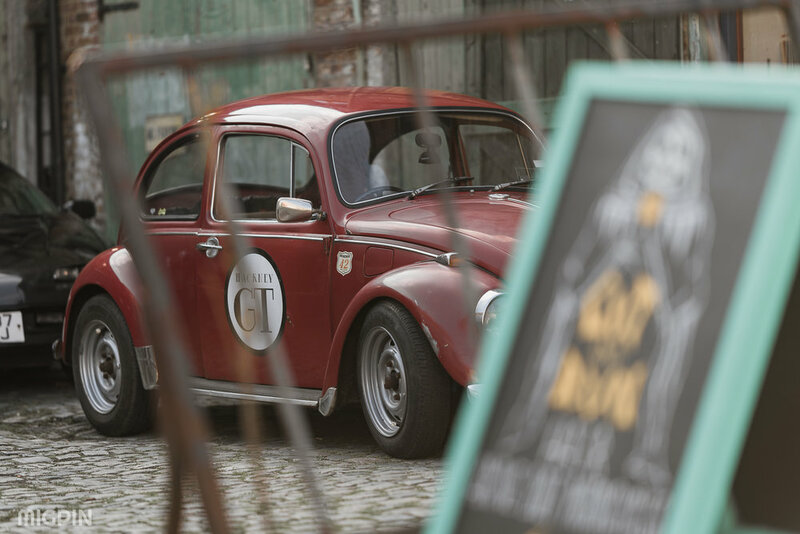 The cobbled yard has been home to the sound of motorcycles for almost 80 years when the Duguid brothers manufactured parts for cafe racers and hopefully many more so its great that it continues. Thanks again to all those who came and made it a great night.